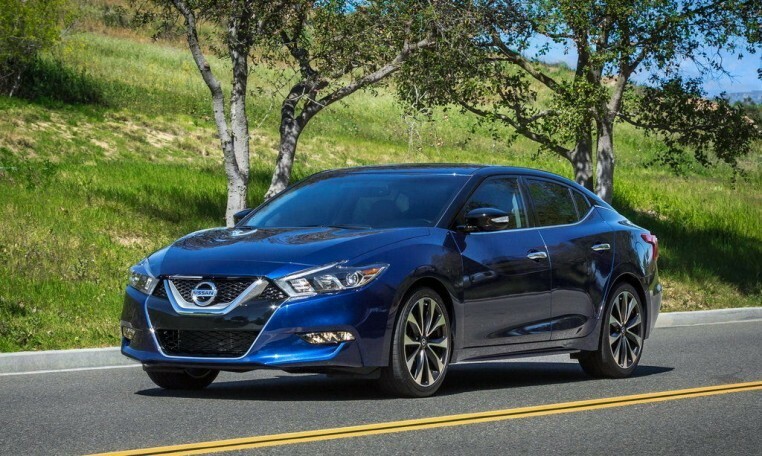 The 2019 Nissan Maxima sedan is powered by a 300-hp, 261-lb-ft of torque 3.5-liter V-6 engine backed by a CVT that routes power to the front wheels and delivers 21/30 mpg city/highway. 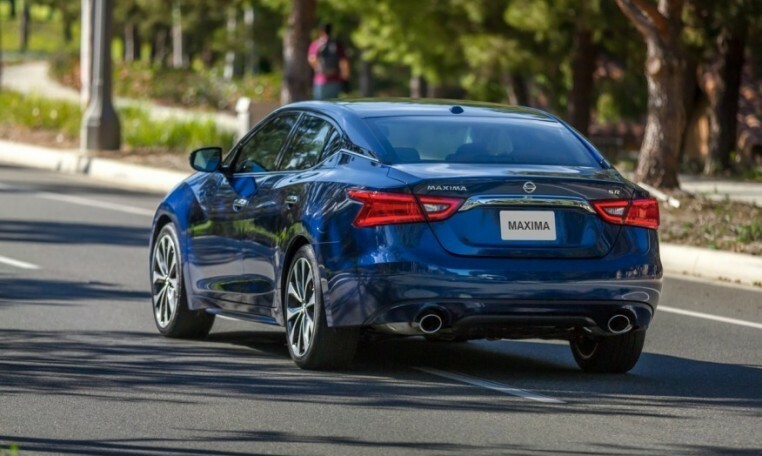 In Motor Trend testing, 2019 Nissan Maxima Platinum hit 60 mph in 5.7 seconds and stopped from 60 mph in 122 feet. 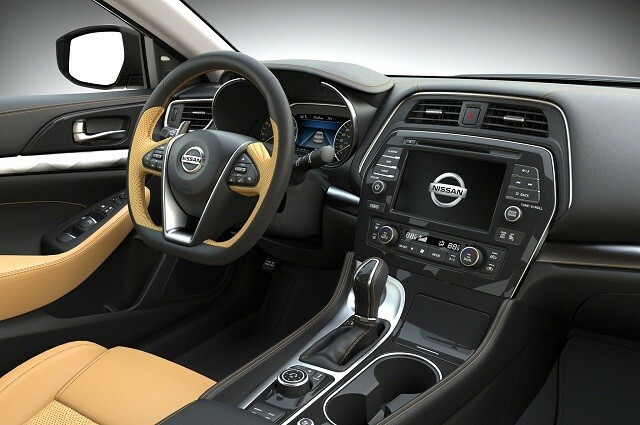 The base Maxima S comes standard with 18-inch aluminum wheels, a Drive Mode selector, fog lights, an 8.0-inch center display screen with navigation and Apple CarPlay and Android Auto, a 7.0-inch instrument cluster digital display, two USB ports, LED daytime running lights, dual mufflers with chrome tips, dual-zone automatic climate control, eight-way power driver’s seat, and a leather-wrapped steering wheel and shift knob. The range-topping Platinum model includes LED headlights, panoramic moonroof, a surround-view multi-camera system, power tilt/telescoping steering wheel, adjustable interior ambient lighting, rear window power sunshade, climate-controlled front seats (heated and ventilated), heated steering wheel, Premium Ascot leather-appointed seats with diamond-quilted leather inserts, Mahogany wood-tone faceted interior trim, an 11-speaker Bose Centerpoint 2 premium audio system, and active noise cancellation. 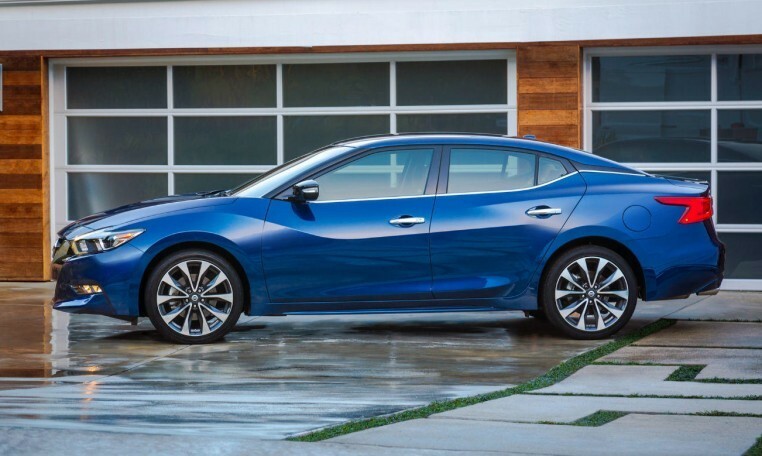 The Nissan Maxima received top honors from both crash-test-rating institutions in 2019: the NHTSA gave it a five-star overall rating and the IIHS made it a 2019 IIHS Top Safety Pick+. The Maxima received the TSP+ designation for receiving the highest rating of Good in all six crash test evaluations (including the new small overlap front passenger side test), for receiving the second-highest rating of Acceptable for the headlights evaluation, and for receiving the highest rating of Superior for front crash prevention for avoiding a collision in a 12-mph test, and for reducing the impact of a 25-mph collision by 11 mph thanks to the standard Intelligent Forward Collision Warning and Automatic Emergency Braking features. 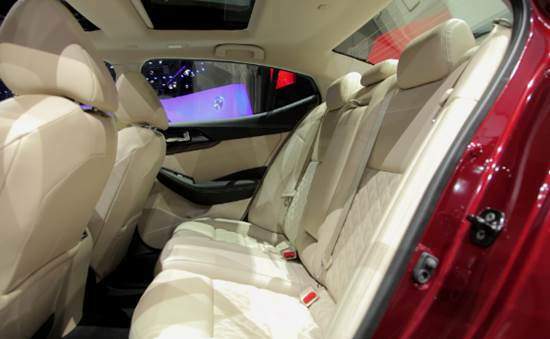 The SL trim adds blind-spot monitoring with rear cross-traffic alert and adaptive cruise control. 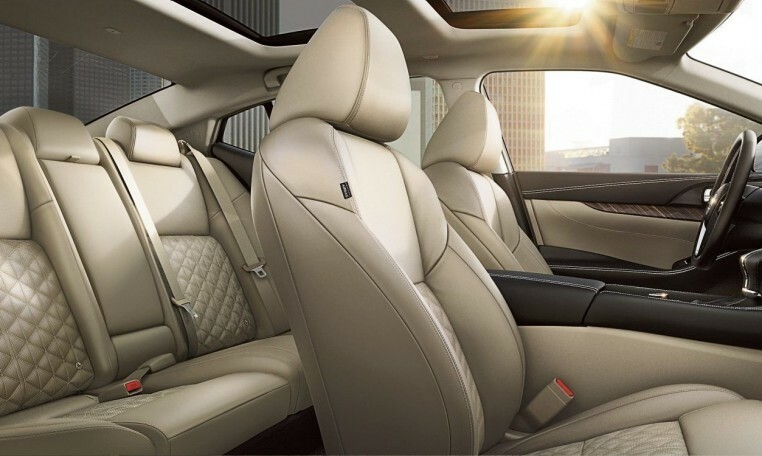 The Platinum trim receives Moving Object Detection, an Intelligent Driver Alertness system, as well as front and rear parking sensors.